The cancellation of Alt-Fest in August 2014 sent shockwaves around the alternative music scene. Although the fantasy festival approach had led some to read between the lines and anticipate that the event was never going to take place, many put faith in supporting the scene and fellow music enthusiasts. Quite why people were prepared to commit themselves to a live promoter who had no acknowledged record of organising an event of this magnitude still remains a mystery… the initial crowdfunding exercise should have rung alarm bells as to the lack of liquid funds to run Alt-Fest. 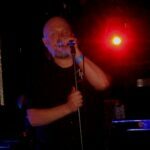 If only the organisers had learned to walk before they ran and opted for something more manageable… so acts from many shores, like AESTHETIC PERFECTION, CLAN OF XYMOX and AGONIZE who had pre-arranged to come to the UK, now had nowhere to play. 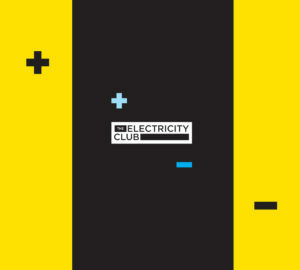 Coming to the rescue were Flag Promotions who promptly hosted everyone at Electrowerkz in London. Fittingly named SOS, the event was a success and prompted a second instalment for 2015. This year’s first night was headlined by Seattle’s ASSEMBLAGE 23 with support from ANALOG ANGEL and a host of other combos of varying electro and alternative persuasions in two rooms. Opening SOS#2 in the electro section was new act TREGENZA, who sounded nothing like how they looked. The combo surprised those present to a cover of ‘The Partisan’, a song made famous by LEONARD COHEN and with the solemn militaristic grandeur of ‘Born Into Fire’, it was a promising performance. EMPATHY TEST have been much talked about and on paper have all the ingredients. In a currently weakened British scene, they have stood out with their hipster credentials, good looks and brooding synth sound. But even with a song like ‘Kirrilee’, there is something missing. 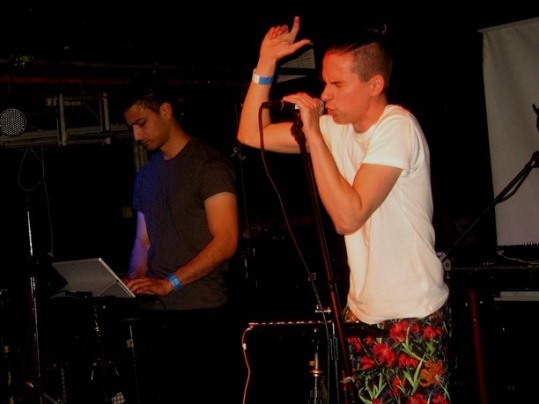 Like STRANGERS before them in 2012, EMPATHY TEST are not MIRRORS, or even the current UK benchmark EAST INDIA YOUTH. However, a small enthusiastic following was rooting for them all the way through their set. 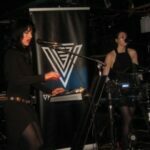 VIVIEN GLASS on the other hand made much more of an impact, from their co-ordinated stage presentation to their dark, punchy synthpop. With a syncopated groove on their better songs like ’Black Magic’ and ‘Julius’ offset by moody female lead vocals, they are perhaps this year’s FUTURE PERFECT. Their debut album ‘Awake My Sleeper’ was a mixed bag, so the new one ‘Jura’ out in September is awaited with interest. 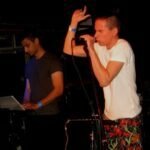 With D-K-A-G being a rather generic EBM Industrial band who shouted “DAS” rather a lot, it was time to make a sharp exit. Welcome relief came in the downstairs alternative rock room where RED SUN REVIVAL provided some of the chromatic Gothic resonance that gave ECHO & THE BUNNYMEN some crossover appeal in the ‘Ocean Rain’ years. Very much originally part of the Industrial scene up to 2011, an introduction of melodic synthpop elements has given ANALOG ANGEL a much more expansive template which has widened their appeal. The recent support slot for KRAFTWERK legend Wolfgang Flür and tonight’s spirited crowd singalong to ‘We Won’t Walk Away’ was evidence of that. And there was also a cheer of recognition for ‘When You Called My Name’, the song that signalled ANALOG ANGEL’s move into more synthpop based territory. It was a packed evening although some rightly quibbled that the running order was far too crammed, with schedule clashes and little time for punters to properly mingle between acts, other than a glancing hello. But SOS#2 was entertaining and enlightening, providing a much needed platform for independently minded electronic music.